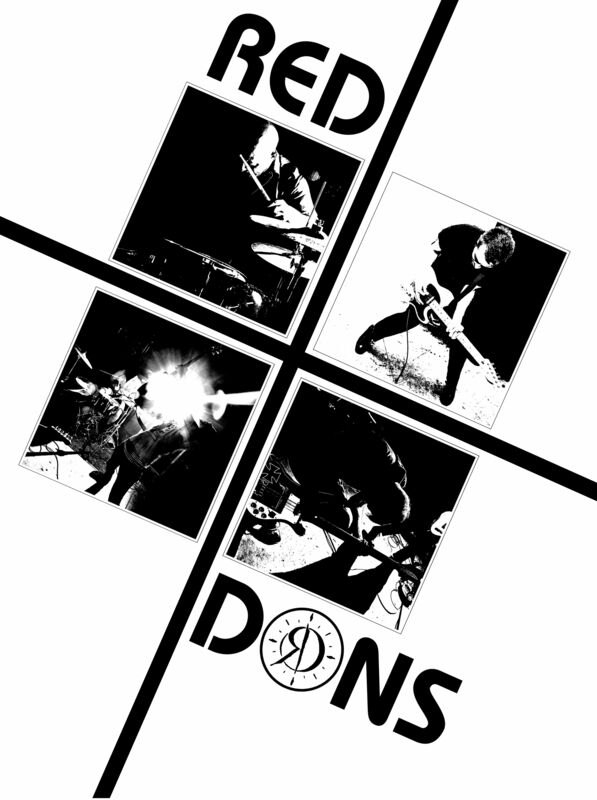 Mixed and Mastered here, Red Dons new Auslander 7″ reviewed by I Buy Way too Many Records. The fine folks over at Dirtnap sure do have some good taste in music. It seems like whenever I find a band that I really like, they’re now putting out a record on Dirtnap too. Good work. Red Dons are a band I’ve been listening to since their last album, Fake Meets Failure and I’ve been mightily impressed. 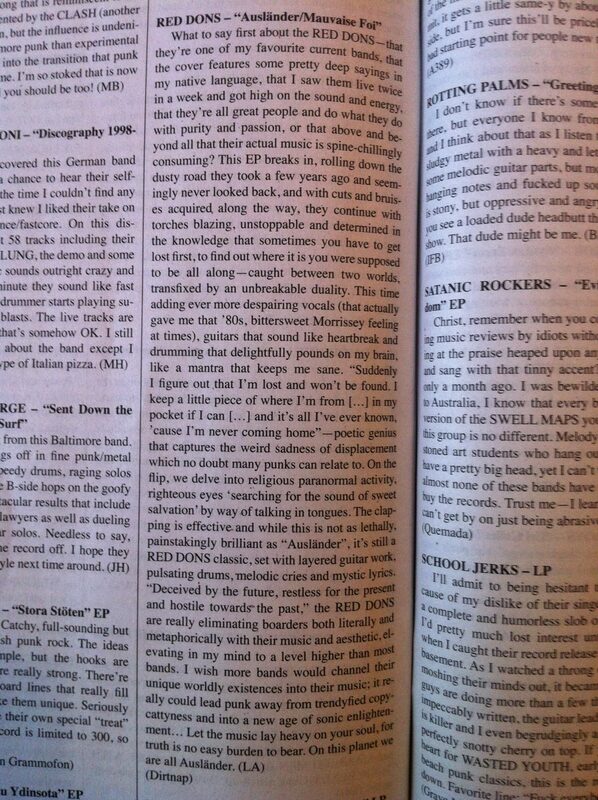 Red Dons Auslander 7″ mixed and mastered here, Razorcake Review. Red Dons new 7″, mixed and mastered here, reviewed in Maximum Rock n Roll! New Red Dons and Estranged split Interview in Maximum Rock n Roll! “It’s the end of the world and we feel fine! The new (and potentially last???) issue of your favorite punk rock magazine has hit the streets! 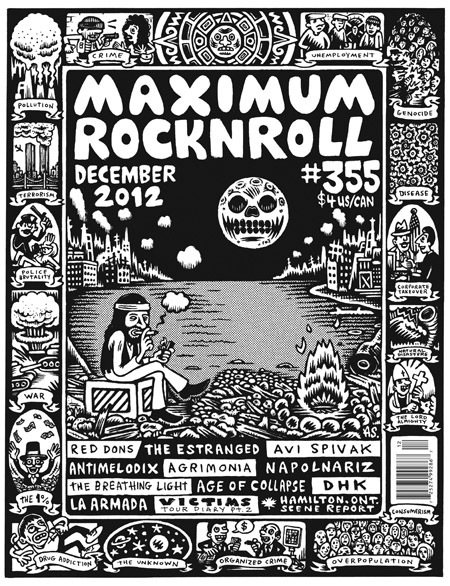 The December issue,MRR #355, comes busting at the seams with the best punk from around the world — 100% by the punks for the punks! Red Dons new 7″ Reviewed at Get Bent! Red Dons new 7″, mixed and mastered here, reviewed at Get Bent! Red Dons recently dropped some fresh material for their first from Dirtnap Records. Auslanderfeatures two brand new songs, both of which were written in 2010-11 between cities like Chicago, Brazil, London, Portland and Hamburg. To continue the nomadic behavior, the tracks were then recorded in a Cold War era bomb shelter in Sweden during 2011 by Lars Ekman, leaving Dirtnap to take care of the rest. “Auslander” starts with a bang, quickly setting the tone of this 7” with a rollicking introduction. The weight of the track is clear as soon as it busts open, revealing a piercing guitar hook that quickly swallows the song with a sense of dire urgency. The track continues with its perpetual fury, led by shredded rhythm guitars that are as heavy as they are direct. It’s a monumental sound and that crushing lead guitar hook is responsible for most of the damage, coming off with sharp melodic tendencies through the daunting post-punk meltdown. Look for a west coast tour with The Estranged in September 2012.